There exists a rickety old house on the shores of a nearby river. It serves as a temporary home for traveling artists of all species and doctrines. A smokiness hangs on the air that wafts from the doorway. Rooms are dimly lit by shards of sunlight that cut through bulky curtains, and music is always present. Individuals arrive, they live comfortably for a short or long while, and they depart, leaving no trace. A husband and wife step onto the makeshift stage . . . The sun is shining, the birds are chirping, and warmth drips from every note. There exist few artists that possess the rare ability to convey that most pleasant of all feelings, the cradling embrace of songs that radiate like the sun; there exist even fewer that can infuse those euphonious sounds with compelling ideas. 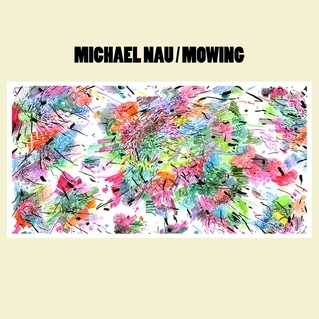 Mowing is the debut solo full-length from singer-songwriter and Page France/Cotton Jones frontman Michael Nau. There’s a hypnotic aura to Nau’s acoustic guitar-centered compositions, which gracefully cascade through various americana-tinged sub-genres. Mixtures of slack indie-rock are flavored with gospel harmonies, latin instrumentation, reggae rhythms, and more than a few ethereal samples. Nau’s weathered voice is charismatic, and his ability to subtly arrange multitudes of compelling elements into deceptive simplicity is masterful. These songs are living, breathing entities, and that’s most clearly shown in “Maralou”, a duet between Nau and his wife/bandmate Whitney McGraw. The track is one of the shortest on the record at just under three minutes, but the love between the two emanates in the form of effortless, undemanding beauty. Mowing provides respite in a captivating way. If you’re seeking warm, enchanting indie-rock, this album is for you.